The book is divided into three parts — the first part is titled “Lover”, second is called “Friend” and third, “Father”. These sections foretell certain truths about the way the narrative will progress. They also follow different stages of the narrator’s life, from medical college where he tasted freedom and explored the fulfilment of his desires to his work life in Jharkhand’s Government hospital where he made friends for life (or so he thought) and finally to his life at home with his parents where he discovers why his father is obsessed with his garden. The story here somewhat resembles the life story of the author himself. The professions of the author and his parents match with those of the characters in the novel, the father works in a copper company and politics, the mother and son are both doctors. The characterisation seems simplistic — the narrator’s two lovers represent two prototypes. While Samir is crass, crude and hardly sober, Sunil has a silent humility and a determination about him. Samir is a conundrum. Most of his relationships in college are about exploring his sexual orientation and desires, whether they are based on lust or true love, they mostly end with a bitterness and leave the narrator hurt. They are all a part of his growth and these experiences teach him many lessons. His maturity is revealed in the second part of the book where he starts his work life. He assumes responsibility, leaving his carefree student days behind. He gains a sense of right and wrong, is less impulsive and suddenly more thoughtful and introspective. This introspection becomes even more intense in the third part of the novel where his interior monologues represent his inner conflict. The battle rages within him throughout the novel — to love or not to love, to do his duty or listen to the voice of reason, to tell or hide his secret. 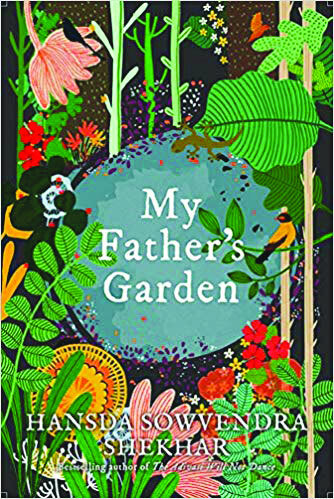 The unnamed narrator is afraid of confronting his father with the truth; he doesn’t expect anyone to understand him, not even his own father and mother. He doesn’t want his father to think he is a failure. The unexpected political blow to his father’s flourishing career has made his father angry, dejected ,venomous and insecure. His father thus tries to exert control where he can. He devotes himself to the betterment of his son, his college admission and job procurement — and, to his garden. The mother and son both feel a sense of panic seeing the father work tirelessly in his garden; his short inaudible outbursts also haunt them. The narrator seems to find maximum comfort in his life at the hospital, where he is away from his parents and his lovers. The regularity of routine life that it offers him is exactly what he seeks. It helps him ward off his loneliness and forget his lovers. He fills his days with treating patients, interacting with Bada Babu and sometimes, just socialising. In the third part of the book, the narrator tells us the story of his father. It gives details about how his father’s political career impacted their lives. “Politics arrived like a whirlwind in our household.” He says that it made everything else take a backseat — the job in the copper factory, his mother’s medical duties and to an extent, even the son’s career. The passion for doing good work for his own people fires up the ambitions of the father but his ultimate downfall, too, comes because in his quest for a separate state, he becomes blind to the machinations of his own party against him. This conspiracy leaves him broken and empty. The only joy and satisfaction he derives is from his garden. To him, it becomes as important as the whole wide world, if not more. It becomes his way of keeping in touch with the soil and preparing for a return to the village. The language of the novel is easy for even the lay reader as it has short, simple sentences. Despite the simplicity, they convey intense emotions and leave a deep impact on the reader.